Our expertise is based on 150 successful projects with 60 clients in highly diverse industries since 1993. 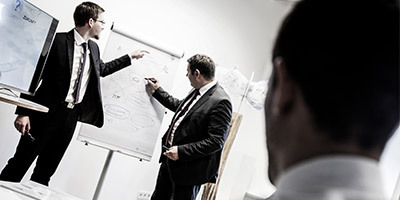 We create together with your experts astonishing opportunities for your company by using our unique WOIS approach. We are visionary thinkers who accelerate your future. We break through the limits of your status quo by contradiction oriented thinking. Become an Innovation Leader and raise your Innovation Capabilities. Learn new ways of thinking that lead to radical innovations. Discover and harness the hidden patterns of evolution and let your ideas light up. Our keynotes inspire to walk unconventional paths. They challenge today’s thinking patterns restraining our ability to innovate. Experience fisthand how to overcome today’s limits and how to charge yourself with new ideas. Testimonials of our clients Companies that count on us. The global competition is a race for creating future viable solutions. It is the credo of the innovation manager that business success depends on innovation and that you must be open for change. Especially when a technology seems to be at its limit, this strategy often generates surprising solutions. WOIS is more than a strategy, it is a mindset. Especially early project phases are crucial for success. 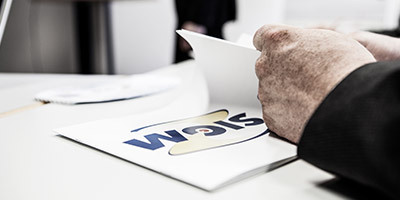 For these fuzzy project phases, WOIS offers an increased argumentation strength and prognosis reliability. Innovation means increased functionality despite reduced costs. Our new generation of sensors accomplishes this paradoxical demand. Black Swans (after Taleb) have shown, that you cannot guarantee future viability by a linear extrapolation of trends. You cannot find an industry that has not yet been deeply influenced by Digitalization. Therefore, the innovation researchers of the WOIS Institute developed a method, that harnesses contradictions to create new potentials. A new picture of the future is the basis for action. It questions existing business models and fulfills contradictory demands. The synthesis of classical management approaches and new Inspirations from other disciplines - like philosophy, bionics, systems theory and brain research - creates a new level of performance. 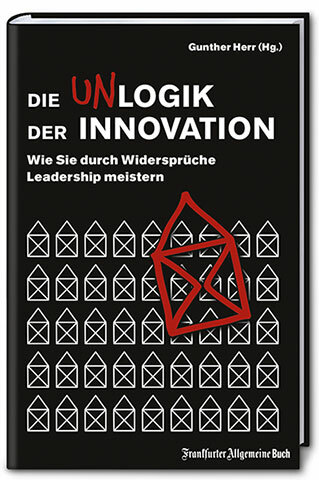 By the means of best practice examples like the tool manufacturer HILTI, the wallpaper manufacturer ERFURT and worldwide operating companies such as STIHL and SCHOTT the authors demonstrate how radical change can lead to successful innovation. 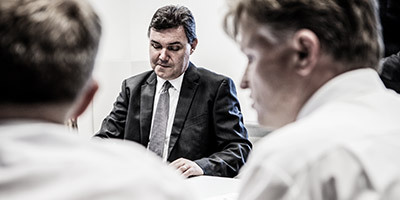 We create individual values and synergies for a sustainable and self-reinforcing future. Together with our clients from different industries we harness the innovation potentials of their current and future business challenges. We provoke breakthroughs of current performance limits by a contradiction-oriented uncompromising logic.